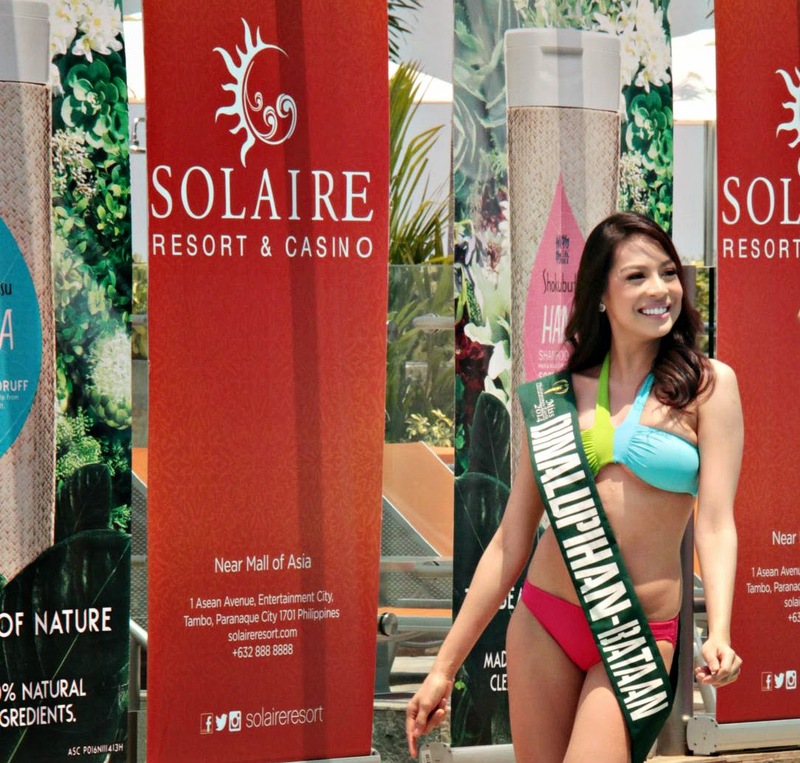 Miss Philippines- Earth opened its 2014 pageant with a press presentation at the Solaire poolside on Earth Day, April 22. Getting a head start from a lineup of 49 candidates are the Darling of the Press winners: (left to right) Bianca Paz (Silver), Jamie Herrell (Gold) and Crystal Aberasturi (Bronze). Miss Philippines- Earth may have not equaled the prestige of Binibining Pilipinas, somehow the 14 year-old pageant has made its way through becoming one of the most watched local beauty pageants. For this year, 49 girls are set to compete to win the chance of representing the Philippines in the annual Miss Earth beauty pageant. The competition started with a press presentation which was held at the Solaire poolside today, April 22. Early standouts include returning candidates Bianca Paz (Gapan, Nueva Ecija) and Mary Ann Rose Misa (Makati City). Cebu contestants are also enjoying early attention as Jamie Herrell (Cebu City) was chosen as the Darling of the Press while Crystal Aberasturi (Liloan, Cebu) was chosen as among the finalists of Miss Hanna. The coronation night is set at the Mall of Asia Arena on May 11. Here are some of the photos taken during the press presentation. 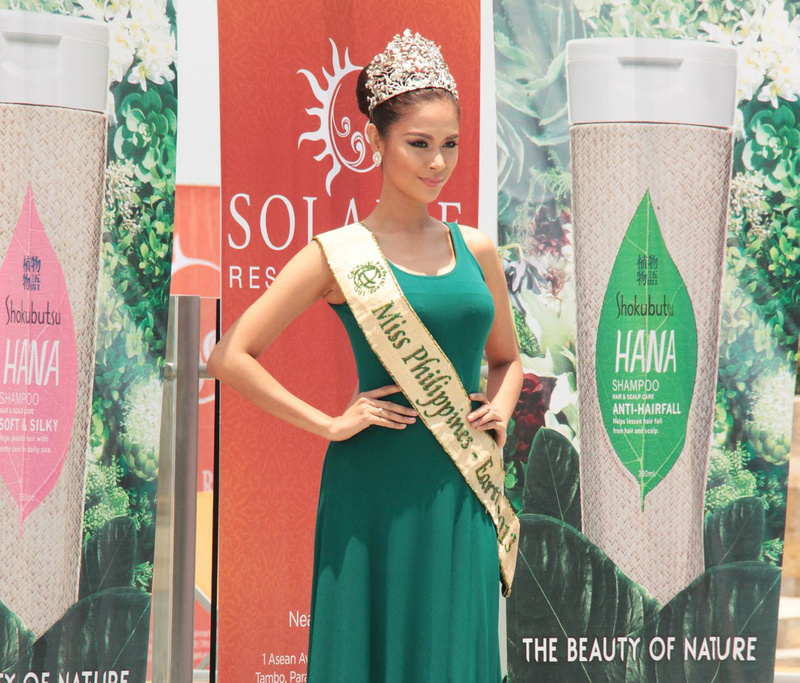 Reigning Miss Philippines- Earth 2013 Angelee delos Reyes.